There is nothing important in the year 2019 for Aries. Of course, problems are going to increase for them. Where at the beginning of the year, Jupiter is in Eighth house in Scorpio sign, Rahu & Ketu are in the fourth and tenth house in Cancer & Capricorn sign respectively, while the Saturn will remain in the ninth house in Sagittarius. The month of April will witness the transit of Rahu & Ketu from Cancer to Gemini and Capricorn to Sagittarius. They will be exalted in these sign. The placement of Rahu in the third house is good for success. No doubt success will hit your steps but the time before April is a bit difficult because Mars is the lord of Aries and its position is in the fourth house of the horoscope. You will see this year many ups and downs in your life. The Aries people who are waiting for their marriage eagerly may face some problem on this front. No doubt they will have marriage proposals but most of them will be worthless. 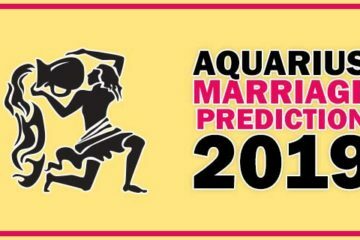 Aries Marriage Prediction in January 2019 is not good. The Mars position in the twelfth house is not a good sign for the marriage. It will create hurdles for the marriage. You will receive a good marriage proposal and everything will be good but at the final moment something wrong will happen and everything will be spoiled. Finally, I will say that the month of January no doubt, will give you a good marriage proposal but this proposal will not convert into marriage. 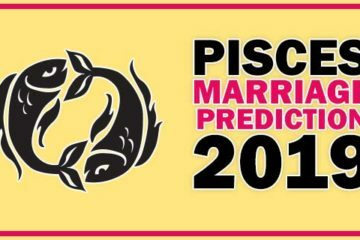 Marriage horoscope of Aries in February 2019 is based on Mars Transit from Pisces into Aries. There is no hope for the marriage seekers in spite of Mars’s placement into Aries, its own sign. The position of Venus into the ninth house in the Sagittarius will be helpful to some extent but due to the aspect of Mars on the seventh house, you are far away from the marriage. There shall be no change in the marriage prediction for Aries in the month of March. The situation may become worst. The marriage proposals which were available earlier will not available in the March month. Aries Marriage horoscope in April is good. The April will bring the change in your lifestyle because Mars will transit into the second house of your horoscope. Rahu & Ketu are transiting from Cancer into Gemini and from Capricorn to Sagittarius respectively. This transit of Rahu & Ketu is auspicious for the Aries. You may receive good news from your relatives, friends or close ally. Though the placement of Jupiter in the Sagittarius is giving a new direction to your deeds and the month of April may bring good news for you. But the sight of Mars on the ninth house and Jupiter is not good so don’t take any action in hastily and without thinking. Some Aries may get married in the month of April. Remedy: Keep fast on every Tuesday and offer the ladoo to Cow. You will see that your works are going to be done smoothly. 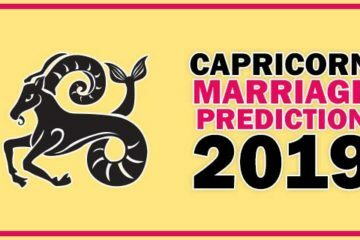 The Aries Marriage Prediction of May 2019 is negative. In the month of May, the Jupiter will be retrograde and it will enter into Scorpio sign. The works which were very easy for you now will be very difficult. The people will have to wait for their marriage for a long time who had kept their marriage pending for some reason. In the month of May, your luck will not favor as Mars will be with Rahu in the Gemini and also will come under the ill influence of Saturn. The prediction of marriage for Aries in June is similar like previous month. Though some new marriage proposals may come you will see that they are worthless. At the beginning of June, you should try as it may be quite possible that you may get some positive results. Marriage Horoscope for Aries in July is depended upon Mars position. Mars will be in the fourth house during the month of July. From the fourth house, the seventh house which is the house of marriage shall be under the sight of Mars. The aspect of Mars is considered bad for the marriage-related house (7th House of Horoscope), therefore, there shall be no good news related to marriage in the month of July. In the month of August up to 10th August, the situation shall be similar to the July but after 12th August the there is the strong possibility of marriage. If you are thinking about love marriage then you may proceed in this month. During the whole 2019 year, August is the only month for those who want to get love marriage. After the April month, the position of Rahu-Ketu is auspicious for those who are in love relationship and want to go forward. The placement of Mercury in the fourth house is considered auspicious. The Mercury’s position will fulfill all your dreams which were unfulfilled. So marriage prediction in August 2019 is positive after the 10th of August. Marriage prediction for Aries in September shall be same like August. The only difference in September shall be that the planets are weak for the love marriage. So I would advise the Aries to get married in August if they are in love relationship. Though the planets for the arrange marriage also are not favorable. The Venus and Mercury will come into the sixth house of the horoscope and this planetary situation will give birth to many disputes. So the Aries people who are in a relationship should take care during the month. Marriage horoscope for Aries in October 2019 is influenced by Mars & Saturn fight. Mars will transit into Virgo in October. Mars aspect is on the Saturn & Saturn aspect is on Mars. This aspect is considered inauspicious for the health. Your works which were pending shall be pending during this month. However, the transit of Mercury from Virgo to Libra will improve the situation to some extent on the marriage front. Aries people may get some good news related to marriage. The possibility of marriage in the month of October is good for the Aries but not for all because the placement of Sun in the seventh house of the horoscope will create hurdles for the marriage after the 18th October. Aries marriage prediction for November is positive. As the Sun shall be in the Libra sign in November therefore there shall be no good news related to marriage but as the Jupiter is also transiting into Sagittarius from Scorpio in November so get ready to welcome the good time for you. From the middle of November, you will see that your bad time is over and you will make good planning for the future and dream of marriage may turn into reality in this month. During December the Jupiter shall be in Sagittarius and Mars in Libra. This planetary situation can’t be considered good for the ladies of Aries but for the men of Aries, it is good. Aries will see that their works and planning are turning into reality and on the marriage front also you may get success. So marriage horoscope for Aries in December will be favorable.